On the 11th (Mon), contemplate the long history of Seurasaari Island and Open-Air Museum, get some fabulous bargains at Marttiini, and then explore the world behind art at Kansallisgalleria. Get ready for a full day of sightseeing on the next day: learn more about the world around you at Natural History Museum (Luonnontieteellinen Museo), wander the streets of Ullanlinna, admire the natural beauty at Observatory Hill Park, then test your team's savvy at popular escape rooms, and finally browse the eclectic array of goods at Hakaniemi Market. 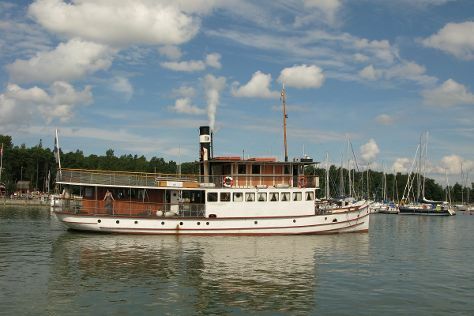 To find more things to do, photos, where to stay, and tourist information, use the Helsinki online visit planner . Riga, Latvia to Helsinki is an approximately 4.5-hour flight. You can also do a combination of flight and ferry; or do a combination of flight and train. Traveling from Riga in March, expect Helsinki to be little chillier, temps between 3°C and -5°C. 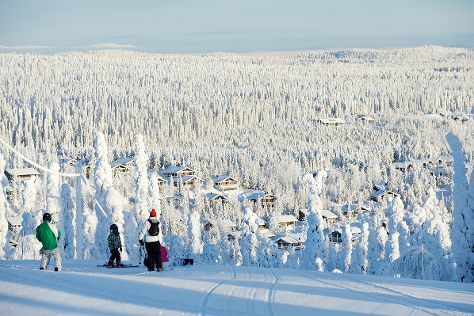 Finish up your sightseeing early on the 12th (Tue) so you can travel to Kuusamo. Kuusamo is a town and municipality in Finland. Start off your visit on the 13th (Wed): admire all the interesting features of Palosaari Reindeer and Fishing Farm, stop by Shopping Center Kumpare, and then fly down the slopes at Ruka. Get ready for a full day of sightseeing on the 14th (Thu): see the interesting displays at Hannu Hautala Nature Photography Centre, then identify plant and animal life at Kiutakongas Rapids, and then stroll through Pieni Karhunkierros Trail. To find where to stay, traveler tips, more things to do, and other tourist information, go to the Kuusamo trip itinerary maker site . Fly from Helsinki to Kuusamo in 3 hours. Alternatively, you can drive; or do a combination of train and bus. Traveling from Helsinki in March, things will get a bit cooler in Kuusamo: highs are around -2°C and lows about -13°C. Finish your sightseeing early on the 14th (Thu) so you can drive to Kittila. Kittilä is a municipality of Finland and a popular holiday resort.It is located in northern Finland north of the Arctic Circle within the Lapland region. Kick off your visit on the 15th (Fri): glide through natural beauty at Levi Ski Resort. Here are some ideas for day two: admire all the interesting features of Ice Karting Levi, then see exotic creatures in open habitats at a safari tour, then don't miss a visit to Giewont Husky Adventures, and finally don't miss a visit to Snow Village. To find photos, reviews, maps, and tourist information, use the Kittila trip builder site . You can drive from Kuusamo to Kittila in 4.5 hours. Other options are to take a bus; or take a bus. Expect a daytime high around 0°C in March, and nighttime lows around -10°C. Cap off your sightseeing on the 16th (Sat) early enough to travel to Tampere. Kick off your visit on the 17th (Sun): examine the collection at The Finnish Labour Museum Werstas, soothe aching muscles at some of the top local wellness centers, and then tour the pleasant surroundings at Rauhaniemi Beach. 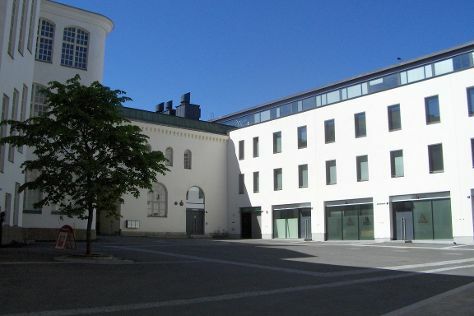 Here are some ideas for day two: examine the collection at The Car Museum of Vehoniemi (Vehoniemen automuseo), take in the architecture and atmosphere at Pyhan Birgitan kirkko, then take in the pleasant sights at Visavuori, and finally examine the collection at Tampere City Library, Metso. For photos, where to stay, ratings, and tourist information, read Tampere holiday planner. You can fly from Kittila to Tampere in 5 hours. Alternatively, you can do a combination of flight and train; or drive. Expect somewhat warmer weather when traveling from Kittila in March: highs in Tampere hover around 3°C, while lows dip to -7°C. Finish up your sightseeing early on the 18th (Mon) so you can catch the train to Turku. Start off your visit on the 19th (Tue): test your team's savvy at popular escape rooms, take in the exciting artwork at Gallery A, and then enjoy the sand and surf at Bellevue Beach. 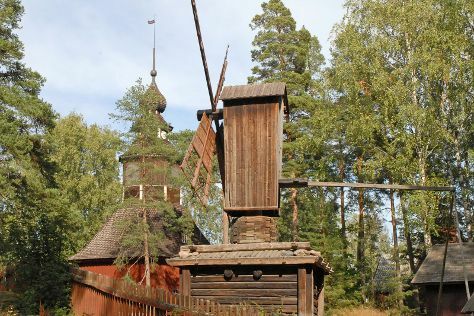 Keep things going the next day: let the kids burn off some steam at Adventure Park, then stroll through Kupittaa Park, and then trek along The Archipelago Trail. For more things to do, photos, traveler tips, and more tourist information, refer to the Turku trip itinerary planning app . Traveling by train from Tampere to Turku takes 2 hours. Alternatively, you can drive; or do a combination of train and flight. In March, plan for daily highs up to 3°C, and evening lows to -5°C. On the 21st (Thu), wrap the sightseeing up by early afternoon so you can travel back home.